Here are two cards from last March, from two different private swaps. 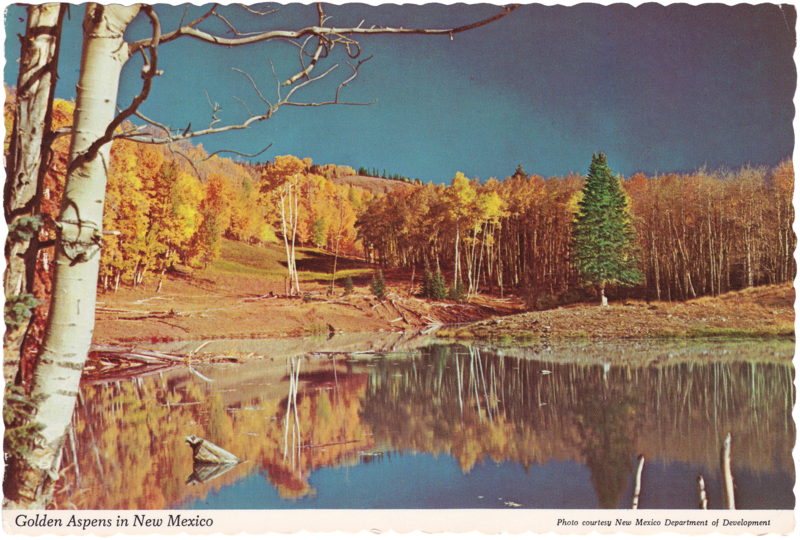 First, this card comes from Michelle in New Mexico, who has sent me several fantastic New Mexican UNESCO and National Park cards. This card of Carlsbad Caverns rounds out my New Mexican UNESCO collection. There are a lot of World Heritage Sites there! It shows the sand dunes in Death Valley, California, which is a National Park. It is very, very hot and dry there. I received some more cards from Michelle in New Mexico. This first card shows the Balloon Fiesta, held annually in Albuquerque. The festival takes place in October, last 9 days, and features around 750 balloons. It looks beautiful! The next card shows the New Mexican flag, adopted in 1925. The symbol in the middle is the sun symbol of the Zia people. The colors of the flag honor Isabella I of Castille. The last card shows El Malpais National Monument. The Monument consists mostly of lava fields and badlands. This card shows the scenic view from the Sandstone Cliffs Overlook. 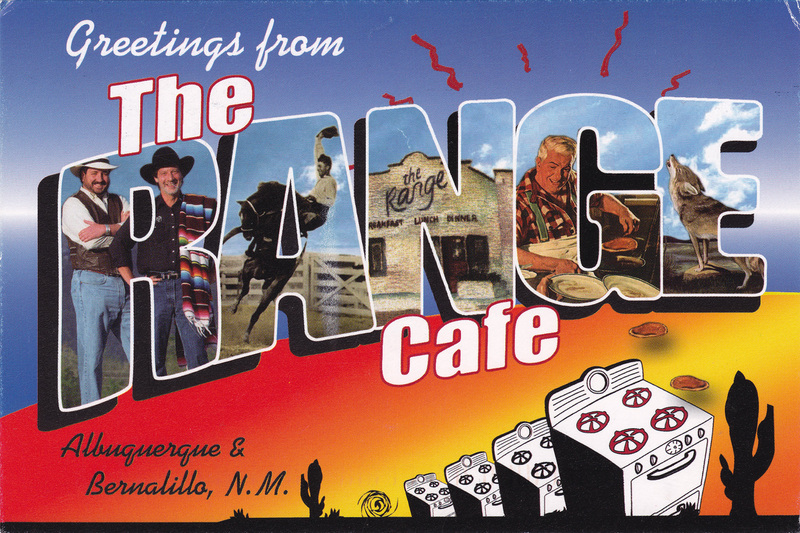 Thanks, Michelle, for these great cards from New Mexico! Michelle from Albuquerque sent me two new UNESCO sites for my collection: Taos Pueblo and Chaco culture. These sites represent some amazing engineering and cultural organization of the pre-Colombian native people who lived in northern New Mexico. Chaco Culture Historical Park is in northwestern New Mexico. It represents the densest concentration of pueblos in the American Southwest. It was a cultural center for the Pueblo Peoples between 900 and 1150 BCE. This card shows the kiva of Chetro Ketl, a great house used for religious rituals. It consists of over 400 rooms. The buildings in Chaco Canyon were some of the largest in North America until the 19th century. The area was abandoned in the 12th century, likely due to drought. About 150 people live in the pueblo full-time. The pueblo was built approximately 1000 years ago. This card shows the north face of the building complex, supposedly one of the most photographed and painted buildings in North America. The doors are a very new addition to the pueblo. Traditionally one would enter one’s house through a ladder and hole in the the ceiling. Although doors were added in the 20th century, there is still no electricity or running water. This stamp is called Sealed with Love. 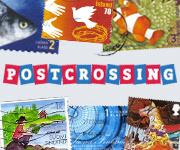 I tried to get some of these stamps at the post office this week, but apparently, no post office in Portland has them! New Mexico has 3 UNESCO sites, so I just need to get one of Carlsbad Caverns to have them all. Thanks, Michelle! 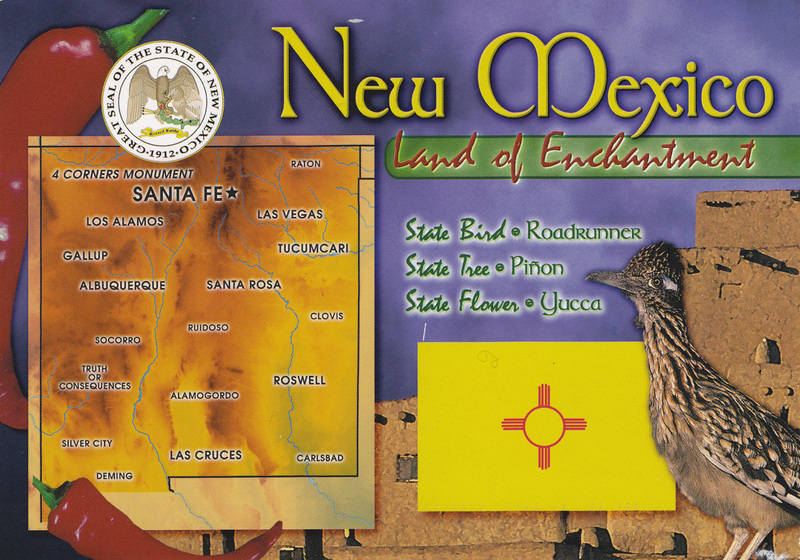 The map of New Mexico comes from nowaglas on the Postcrossing forum. 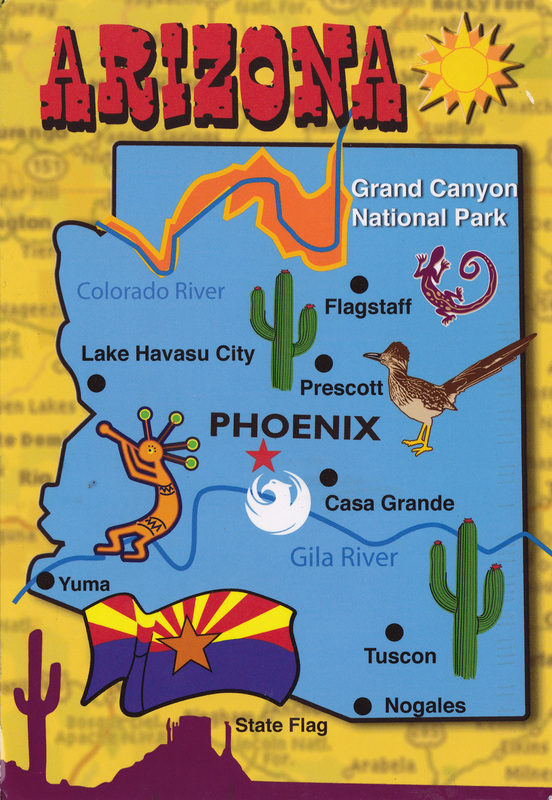 My favorite part of this card is the picture of the roadrunner, New Mexico’s state bird. 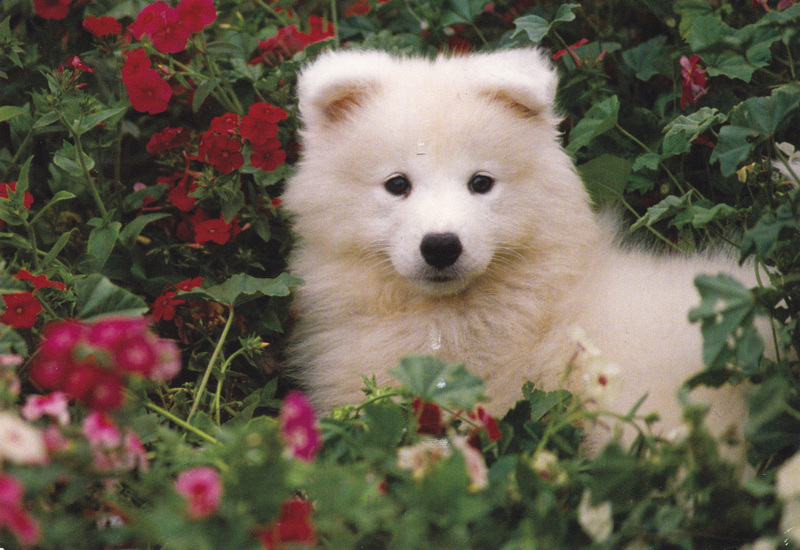 Nowaglas says that she sees these cute little guys all the time! I think that’s so neat; much more interesting than seeing squirrels out my window. 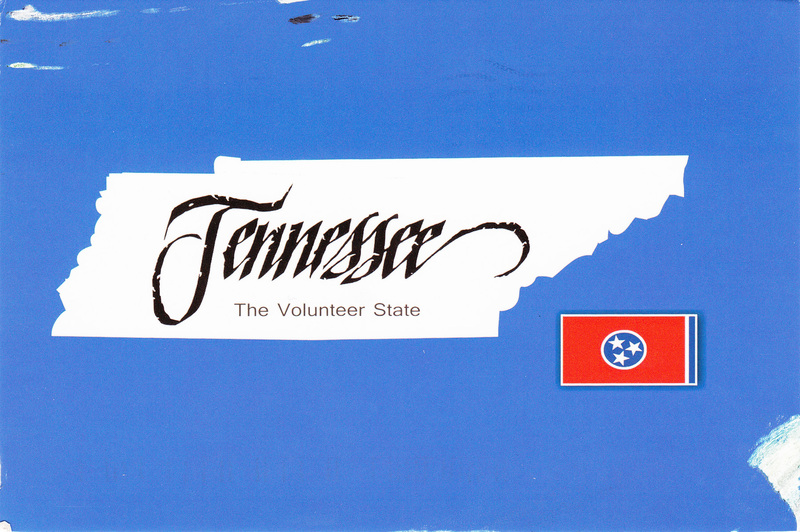 This outline map of Tennessee comes from meand3boys, also from the Postcrossing forum. Saving the best for last, this interesting Maryland map comes from Holly, who runs a great blog about maps and is a map printer! This map isn’t like a typical tourist map (which I like, actually) it’s a geological map, showing the different types and ages of rocks found in Maryland. 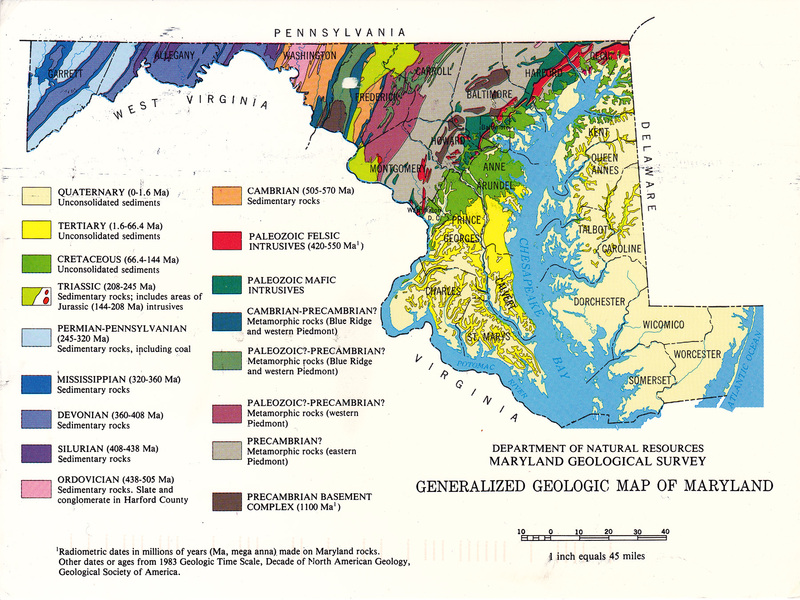 Holly printed up this map for the Maryland Geological Survey, found my blog, and offered to send a map my way! Thanks, Holly! And if any readers out there like maps, too, or need a map printed, check out the MapPrinter blog. 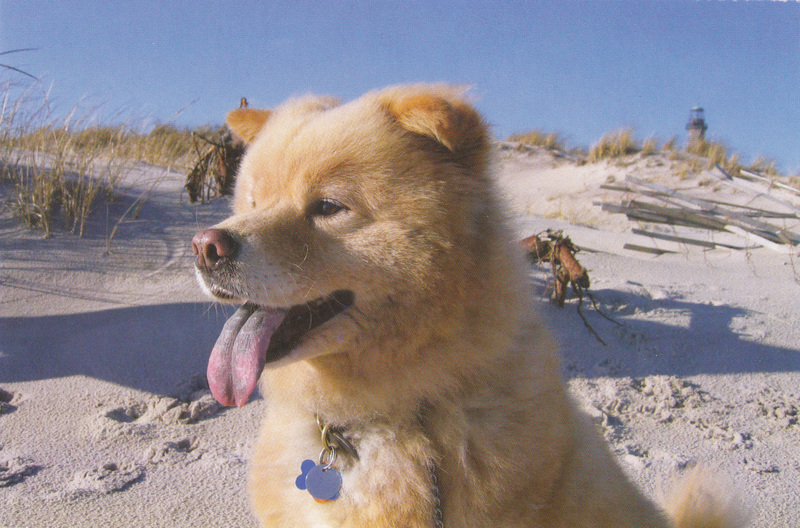 This first card comes from my aunt Susan, who lives in New Mexico. She writes to wish me a happy Thanksgiving and to support the blog! Apparently, you can have a ‘darn good meal’ at this café. It looks like fun! Thanks, aunt Susan! 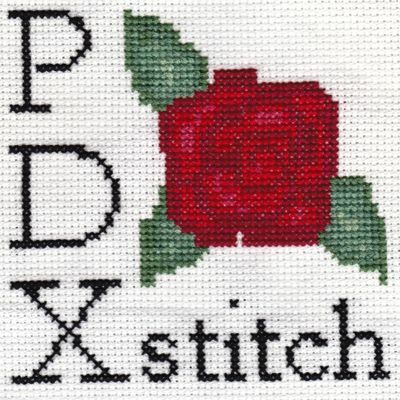 The second card is also from the Southwest, and was sent by my mum during her layover in Phoenix while traveling here to Portland. She wanted to help out with my project to collect all 50 state map cards. The airport in Phoenix doesn’t have any mailboxes in the terminal, so my mum asked a “really nice lady” named Tonga to mail the card for her, so she wouldn’t have to go through security a second time. Tonga must be a really nice lady, because the card arrived quickly and safely! Thanks Mum and Tonga! 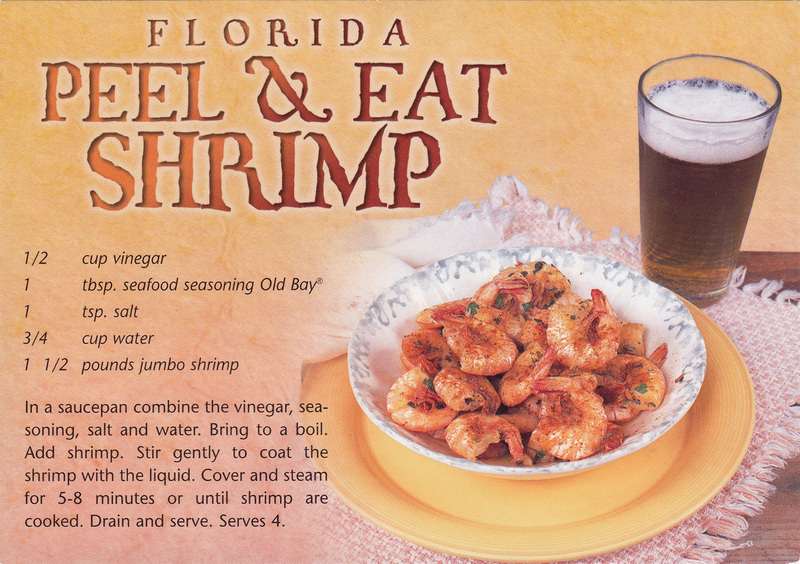 Floridians eat a lot of shrimp! 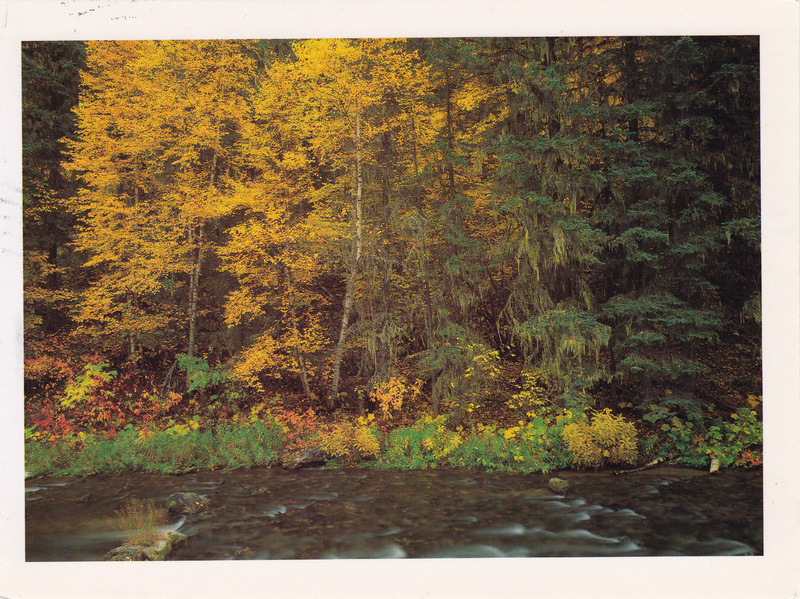 I love the natural scenery on the postcards. There are so many beautiful places in our country. Until I can visit them all, I’m glad I have postcards!